Good news! 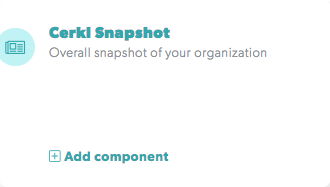 The Cerkl Snapshot from your Insights Dashboard is now a possible component in your Custom Dashboards. Go to Insights > Custom Dashboard > Add Components > Cerkl Snapshot. After adding the component to your custom dashboard, you can further customize your statistics by changing the reporting period in the top right corner of the component and by filtering by gender. 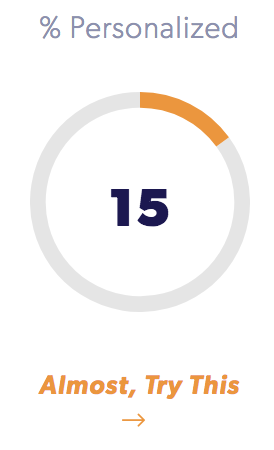 If one of your stats is a tad bit lower than expected, click on the message below the circle and we'll offer some best practices and tips for improving your analytics - just like in the Cerkl Snapshot on your Insights Dashboard.